SEAS is a non-government and non-profit business association that represents the interests and provides a common platform for companies in Renewable Energy, Energy Efficiency, and Financial Institutions to meet, discuss, collaborate and undertake viable projects together. Cleantech Solar is a member of MPIA, a non-profit organisation dedicated to photovoltaic energy, that provides a credible and representative platform for the entire photovoltaic (PV) industry in Malaysia. Find full membership list here. Cleantech Solar is a member of TPVA, an association which represents members active along the whole solar PV value chain in Thailand and aims to help the country succeed in its alternative energy development plan. 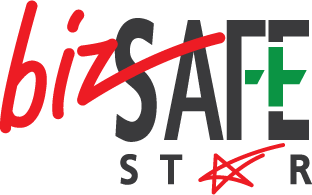 bizSAFE STAR is the highest level of accreditation in the bizSAFE programme, it signifies the commitment of the organization in promoting Workplace Safety & Health (WSH) by establishing and implementing an Occupational Health and Safety Management System and we are certified under Certificate Number E30528. We are OHSAS 18001 – certified (certificate number OHS 685223) which is a reflection of our commitment to constantly drive and implement the best of Health and Safety practices throughout our organization. Mr. Raju Shukla is recognized, with other outstanding business leaders, as the top 100 solar leaders in India’s fast growing solar energy sector who will continue to shape up the sector for the next decade. 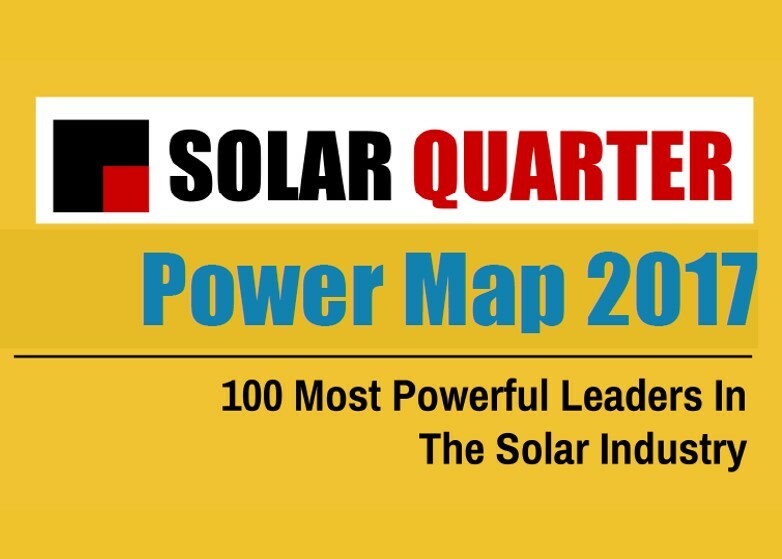 Find the full list of the 100 Most Powerful Leaders In The Solar Industry here. 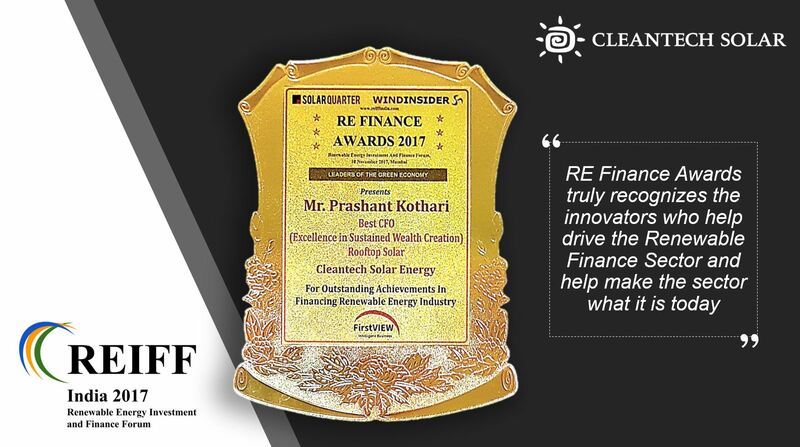 Mr. Prashant Kothari of Cleantech Solar, was named “Best CFO (Excellence in Sustained Wealth Creation)” of the year at the Renewable Energy Investment and Finance Forum, REIFF India 2017. Read full article here. The India Rooftop Solar Congress Awards is an event that celebrates the best deals, projects and innovations in industry over the past year and recognises the players involved. Entries come from all over the world and compete to win these highly coveted awards. Green Leadership Award – Recognizing green leaders who have made a sustainable contribution in the sphere of Manufacturing, Information Technology, Renewable Energy, Waste Management and more. Our Indian subsidiary, CSEPL, has a Power Trading license. For more details on this license, view these PDF documents.